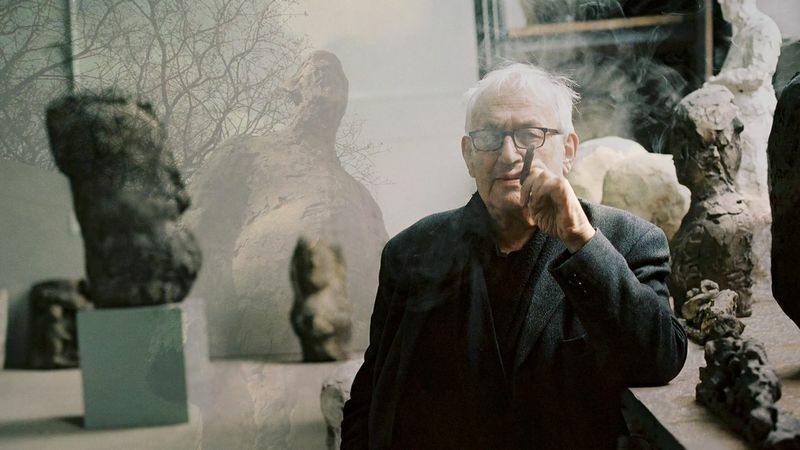 Josephsohn is one of the most important figurative sculptors in post-war Europe. His art is devoted entirely to the human form and the classical theme of sculpture: standing, sitting and recumbent, as full or half figures, bodiless heads or reliefs in which figures are positioned in relation to one another. 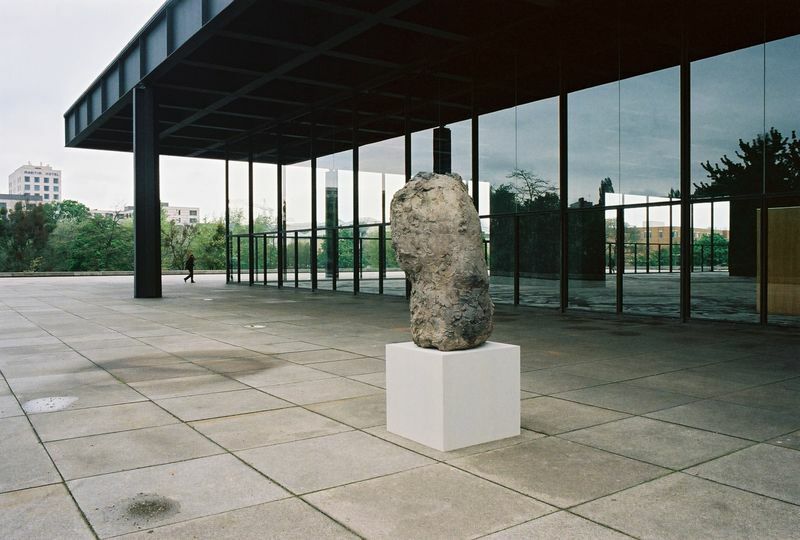 Capable of commanding spaces, his works are also quiet and contemplative, speaking of man’s fragile relationship with the world in which he lives. 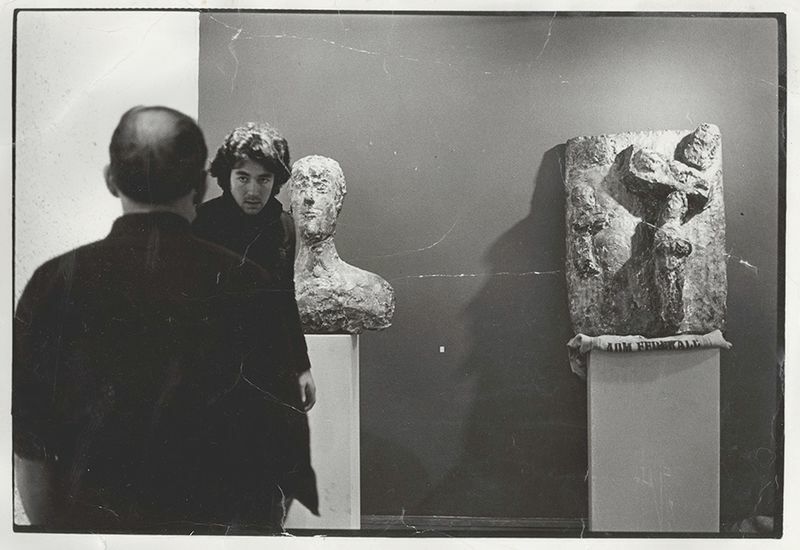 Often larger than life, his sculptures are never monumental, perhaps due to the fact that Josephsohn worked from live models throughout his lengthy career. 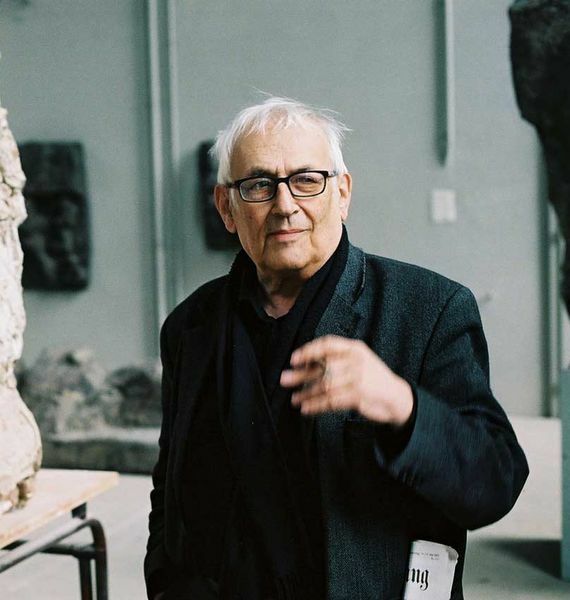 For over six decades Josephsohn’s art sought to find a language for sculpture that contains its past and questions the existential human condition. Using motifs from the classical canon – his early works reveal a dialogue with the art and architecture of Egyptian, Assyrian and classical Greek antiquity – he moved from geometric reduction, to figuration to highly abstracted half-figures. He created slender and evocative standing figures, mountainous reclining women, as well as geometric reliefs and his later works: craggy, boulder-like torsos. These final works possess a unique style, their rough surface giving evidence of the intensive production process. 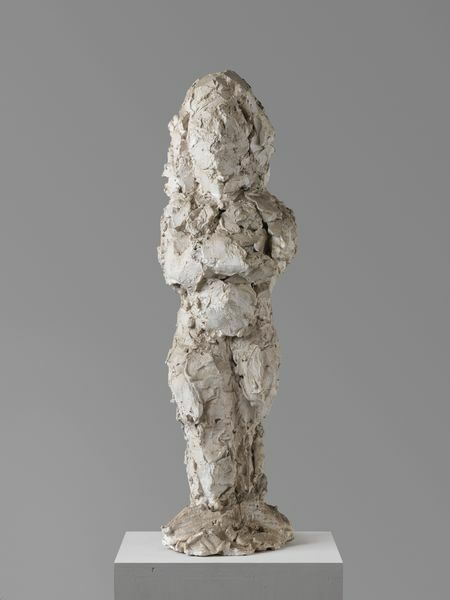 Using this traditional vocabulary, adding and subtracting layer upon layer of plaster, Josephsohn developed an architectonic view of the body and re-defined the relationship between figure and ground, volume and surface. The artist has said of his figures that ‘they must be enduring in their expression, in their stance’ and his sculpted beings convey an intensity that speaks of stoicism and dignity. 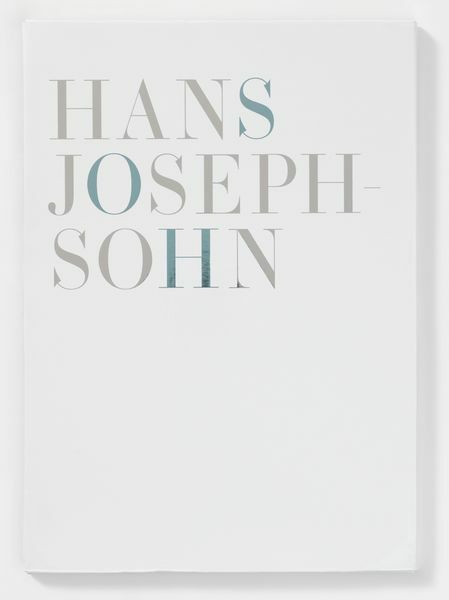 Running through all of Josephsohn’s works is an insistent corporeality, an acceptance of the irrefutable heaviness and materiality of the human body. Born in 1920 in a Jewish middle class family living in Königsberg, then East Prussia, Josephsohn travelled to Florence in 1938, where he briefly studied sculpture at the Academy of Art. 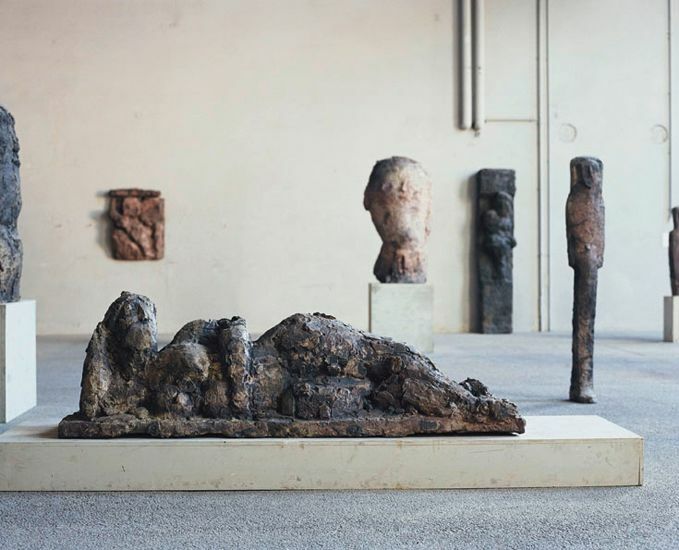 Following the implementation of Fascist laws in Italy in the same year, Josephsohn emigrated to Switzerland, where he began an apprenticeship in the atelier of sculptor Otto Müller. After his apprenticeship, Josephsohn established his own studio in Zurich, where he lived and worked until his death in 2012. 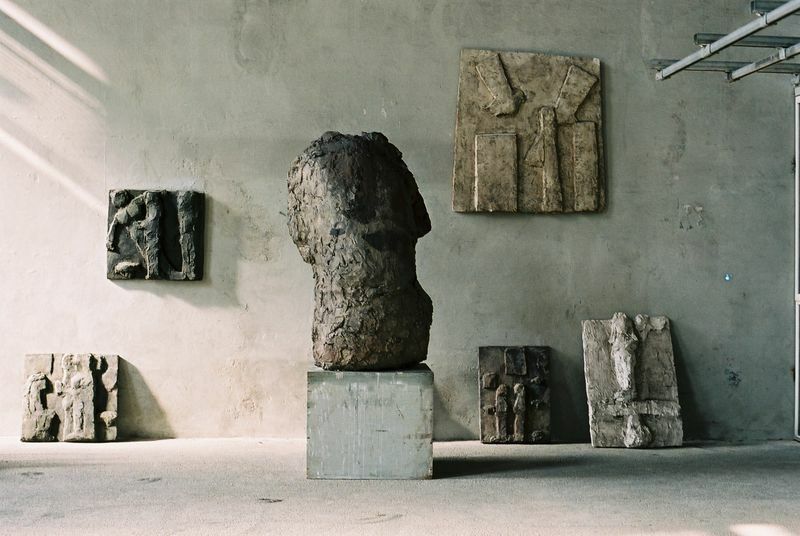 There are two permanent installations of his work open to the public: Kesselhaus Josephsohn, St.Gallen, Switzerland, exhibition space and home of the artist’s estate, located next to the foundry, which has been casting Josephsohn’s sculptures since the early 90s; and La Congiunta, a small museum in the Southern Swiss Alps designed by the architect Peter Märkli, to whom the artist has been a longstanding friend and key influence. 2017 Dunne, Aidan, 'Explorations in a planetary version of the Marie Celeste', on: irishtimes.com, Dublin/IR, 5 December 2017, ill.
Thorpe, Harriet, 'Conversation piece: Hans Josephsohn and Peter Märkli meet at Hauser & Wirth', on: wallpaper.com, London/UK, 15 November 2017, ill.
___, '___', on: mp.weixin.qq.com, Xian/CN, 04 November 2017, ill.
Wilson, Rob, 'Exhibition: Josephson & Märkli at Hauser & Wirth Somerset, on: https://www.architectsjournal.co.uk, London, 3rd October 2017, ill.
Schmid-Gugler, Brigitte, 'Das Spiel von Körper und Raum', in: St-Galler Tagblatt, St. Gallen, 09 February 2017, p. 27, ill.
2016 Chardon, Elisabeth, 'Art Basel, vision urbaine et gratuite', on: www.letemps.ch, Paris, 16 June 2016, ill.
2015 Glauner, Max, 'Hans Josephson', on: HYPERLINK "http://www.Artforum.com" www.Artforum.com, New York, 25 September 2015, ill.
Jasper, Adam, 'Josephsohn', in: Artforum, New York, December 2015, p. 274, ill.
McClemont, Doug, 'Hans Josephsohn', in: ARTnews, New York, March 2014, p. 94, ill.
Gregory, Odette, 'Hans Josephsohn, Hauser & Wirth, New York, on: www.aestheticamagazine.com, March 2014, ill.
Kurzhals, Frank, 'Hans Josephsohn. Zwischen Natur und Kunst', on: www.handelsblatt.com, 4 March 2014, ill.
Tittel, Cornelius, 'Die Stein-Strategie', in: Welt am Sonntag, Berlin, 15 September 2013, p. 51, ill.
Buchloh, Benjamin H.D., 'The Entropic Encyclopedia', in: Artforum, New York, September 2013, pp. 311 – 317, ill.
Thorne, Sam, 'The Encyclopedic Palace', in: Frieze, September 2013, London, pp. 104 – 105, ill.
Cembalest, Robin, 'Vision Quest: Exploring the Venice Biennale', on: www.artnews.com, New York, 18 June 2013, ill.
___, 'Review of Hans Josephsohn, Yorkshire Sculpture Park', on: www.aestheticamagazine.com, 25 May 2013, ill.
Storrs, Michael, 'In Search of Josephson', in: Auditorium, Berlin, May 2013, p. 86 – 99, ill.
Atkinson, Neil, 'Yorkshire Scuplture Park exhibition shows where there's brass there's art- take a look here & hve your say', on: www.examiner.co.uk, London, 24 April 2013, ill.
Wullschlager, Jackie, 'A quest for the essence: Saloua Raouda Choucair's new show', on:www.ft.com, London, 19 April 2013, ill.
Thompson, Theresa, 'Hans Josephsohn and Simon Starling, Modern Art Oxford', on: www.oxfortimes.co.uk, Oxford, 21 March 2013, ill.
Deér, Katalin, ' Hans Josephsohn. Modern Art, Oxford', in: FT Weekend, London, 17 March 2013, p. 17, ill. 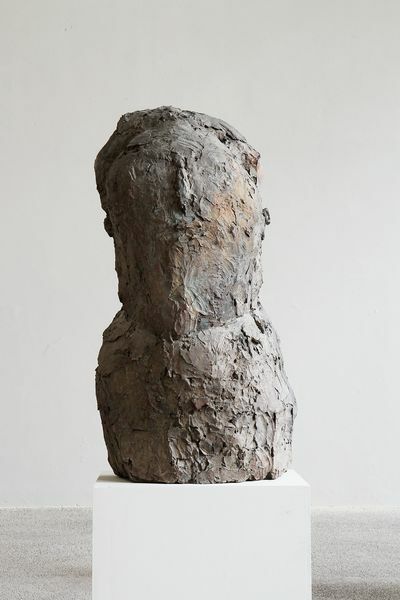 Seller, Merlin, 'Bonez & bronze', on: HYPERLINK "http://www.oxfordstudent.com" www.oxfordstudent.com, Oxford, March 2013, ill.
Sheerin, Mark, 'Hans Josephsohn brings scarred figurative sculpture to Modern Art Oxford', on: HYPERLINK "http://www.culture24.org.uk" www.culture24.org.uk, London, 7 March 2013, ill.
___,'Hans Josephson Oxford', in: Guardian Guide, London, 23 February 2013, p.37, ill.
___,'Arts that figures in a big way', on: HYPERLINK "http://www.oxfordmail.co.uk" www.oxfordmail.co.uk, Oxford, 22 February 2013, ill.
___,'Hans Josephson', in: ARTFORUM, New York, January 2013, p. 93. 2012 Pilger, Zoe, 'Josephson, Hauser & Wirth, London', on: www.independent.co.uk, London, 22 November 2012, ill.
___, 'Hauser & Wirth pays Tribute to Josephsohn', on: artcentron.blogspot.co.uk, London, 12 November 2012, ill.
Crichton-Miller, Emma, 'Modern Art in a Ancient Castle', in: The Wall Street Journal, London, 31 August 2012, p. 10, ill.
Ulrich Meinherz, 'Kunst in Minuten und Jahren', in: St. Gallen Tagblatt, St. Gallen, 23 August 2012, p. 9, ill.
Greene, Ariel, 'Hans Josephson. 1920 – 2012', on www.artinamericamagazine.com, 22 August, ill.
Russeth, Andrew, 'Swiss Sculptor Hans Josephsohn Dies at 92', on: galleristny.com, New York, 22 August 2012, ill.
___, 'Art in minutes and years' on: www.tagblatt.ch, St. Gallen, 28 August 2012, ill.
Maak, Niklas, 'Auf der Suche nach dem Gesicht des Menschen' on: www.faz.net, Frankfurt, 22 August 2012, ill.
___, 'Hans Josephson ist tot', on: www.tagesanzeiger.ch, Zurich, 22 August 2012, ill.
Magnaguagno, Guido, 'Der aufrechte Gang', on: www.nzz.ch, Zurich, 22 August 2012, ill.
___, 'Hans Jossephson – A Body of Work', on: kilimag.com, London, 27 July 2012, ill.
___, ' First Show In Ireland', in: World Sculpture News, Hong Kong, Spring 2012, p. 9, ill. Amend, Christoph, 'Was haben sie gesehen, Herr Obrist? ', in: Weltkunst, Munich, July 2012, ill.
Mack, Gerhard, 'Drei Damen auf sattgrünem Rasen', in: NZZ am Sonntag, Zürich, p.65, ill.
O'Sullivan, Tina, 'A fascination with the human figure', on: HYPERLINK "http://www.irishexaminer.com" www.irishexaminer.com, Cork, 24 May 2012, ill.
Dunne, Aidan, 'Artistic royalty comes to the castle', in: The Irish Times, 21 May 2012, Dublin, ill.
Leach Hughes, Cristin, 'Hans Josephson', in: The Irish Sunday Times, Dublin, 20 May 2012, ill.
___, 'Josephson at Lismore Castle Arts', on: www.royalacademy.org 18 May 2012, ill.
___, 'Astaire, the English aristocracy and an Irish castle', on: www.theartnewspaper.com, London, 14 May 2012, ill.
2011 ___, 'The World's Best Secret Art Galleries', in: The Independent, London, 8 October 2011, pp. 19 – 25, ill.
2010 Bucheli, Roman, 'Die wilde Zartheit der Anarchie', in: Neue Zürcher Zeitung, Zurich, 17 May 2010, ill.
Mack, Gerhard, 'Auf den Körper kommt es ihm an', in: NZZ am Sonntag, Zurich, 16 May 2010, ill.
Schindler, Feli, 'Die Welt hat diese Figuren schwer und stoisch werden lassen', in: Tages-Anzeiger, Zurich, 20 May 2010, ill.
Coles, Alex, 'Reviews: Europe', in: Art Review, London, May 2010, p. 129, ill.
Renninger, Suzann – Viola, 'Es gibt nichts zu tun als leben. Der Bildhauer Hans Josephsohn', in: Schweizer Monatshefte, Nr. 981, November 2010, pp. 4 – 5, 19, 22, 34/35, 45, 51, 55, 63, ill.
McLean-Ferris, Sarah, 'Visible Invisible: Against the Security of the Real', in: ArtReview Online, London, 26 November 2009, ill.
Luke, Ben, 'Half-Hidden Depths', in: Evening Standard, London, November 25, 2009, ill.
___, '10 to See', in: Aesthetica, York, October 2009, pp. 20 – 21, ill.
Coomer, Martin, 'Exhibition of the week', in: Time Out, London, 3 July 2008, ill.
Wullschlager, Jackie, 'Alone with a sense of history', in: Financial Times, London, 14/15 June 2008, p. 15, ill.
Stonard, John-Paul, 'Hans Josephsohn. Museum für moderne Kunst', in: Artforum, New York, Summer 2008, p. 454, ill.
Badrutt Schoch, Ursula, 'Angenehm, aber unnütz', in: Tagblatt, St. Gall, 1 April 2008, p. 25, ill.
___, 'Hans Josephson', in: Monopol, Berlin, March 2008, p. 110, ill.
Danicke, Sandra, 'Am menschlichen Körper orientiert', in: Art. Das Kunstmagazin, Hamburg, no. 3, March 2008, p. 73, ill.
Fyfe, Joe, 'Hans Josephsohn`s Lateness', in: Art in America, New York, January 2008, pp. 92 – 97, ill.
2007 Cena, Olivier, 'La femme-paysage', in: Télérama, Paris, 3 November 2007, p. 73, ill.